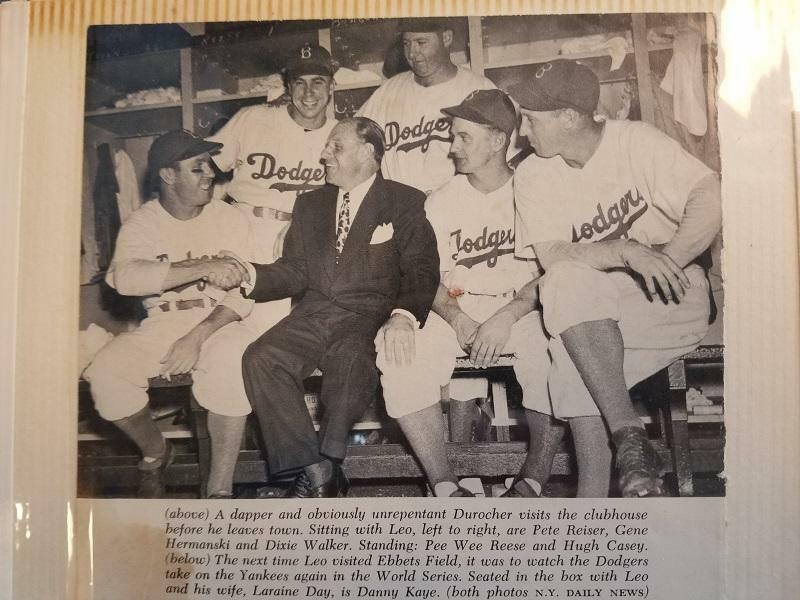 As Father's Day approaches, one Jacksonville man is reliving his painful family history — a history which centers around one of the most colorful members of the iconic 1940s Brooklyn Dodgers. Hugh Casey was part of that famous Dodgers team that took part in four pennant races, the first National League playoff series, and two World Series. He played alongside many big personalities, including manager Leo Durocher, and players like Jackie Robinson, Pee Wee Reese, Dixie Walker, Joe Medwick, and Pete Reiser. Casey was credited with inventing the position of relief pitcher. He taught a rookie Jackie Robinson, who was just breaking the color barrier in the sport, how to play first base. And, off the field, he brawled with legendary author Ernest Hemingway. But in his private life, Casey left behind a son he never formally claimed— a man who now lives here in Jacksonville — Michael Casey Kocijan. In the new book "Hugh Casey: The Triumphs and Tragedies of a Brooklyn Dodger," author Lyle Spatz details Casey’s life and career, from his birth in Atlanta to his suicide. In the book, Spatz details Casey's home life, including how the mother of Kocijan, who was born out of wedlock, filed a paternity suit to try to force Casey to acknowledge his son. 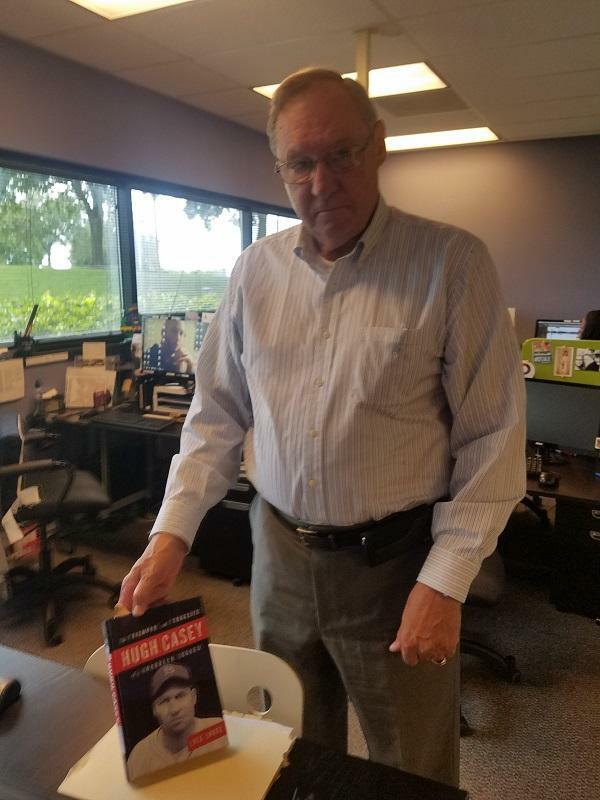 Kocijan was a guest on "First Coast Connect" and discussed his estranged father. "He took his own life when I was very young, so I did not know him growing up," Kocijan said. But while Kocijan admits to not being a baseball fan, he would eventually become an expert in the career of his father, who originated the role of relief pitcher in the sport. "When the game got into a problem where they were losing, the manager would say, let's bring somebody up," he said. "They wanted a pitcher who was ice cold. "My father's nickname was 'the fireman,' because he was brought in to put out fires." Casey hailed from Georgia, and Kocijan said his initial reaction to playing with Robinson, the first African-American in Major League Baseball, was a complicated one. "Some of the stories say he was against Robinson playing, and that his name was on a petition to have him taken off," he said. "People forget, the Brooklyn Dodgers, in the heart of Yankee country, had a bunch of Southerners, like my father, and Pee Wee Reese, and others. "But on the other hand, to my father, winning was everything. He taught Jackie Robinson how to play first base in 1947. He saw his potential." Kocijan wears the same pennant ring that Robinson once wore, a memento he proudly displays. And what about the tales of Casey punching out Hemingway? The story goes that the Dodgers trained in the early 1940s in Havana, Cuba. And they had some prominent visitors stop by to watch their workouts. "People don't remember that Fidel Castro loved baseball," Kocijan said. "He used to come watch them play. They had summer training camp, and Ernest Hemingway also liked to come see what was going on. He invited my father and some other players over for drinks. Hemingway was a rough, tough type, but my father was also one never short on courage. "Hemingway wanted to box my father; he goes up and hits him. And I think my father got a little upset, and reached over and, 'pow,' knocked him out." Through tears, Kocijan said his father is "a big shadow" in his life. "My mother went through a lot," he said. "It was hard growing up with this. "I try to remember this is how I lost my father. But others have lost theirs in other ways, too."